The wonderful city of Dubrovnik in Croatia is one of the most popular holiday destinations in the world. Many ferries and cruise ships leave the cruise port terminal here. The port is only about three kms or two miles from the Old Town so is easy to get to if you’re staying in the heart of the city itself. There’s sure to be the perfect accommodation to suit your taste and of course budget. With so many deals on offer, make sure to make a booking sooner rather than later as Croatia holidays are always snapped up quickly. Hotels, B&Bs, apartments, villas and studios can all be reserved online. Read more details about accommodation, deals and things to do in Croatia. If you’ve never been to this intriguing country before, it will certainly be a vacation to remember. Budget properties all have modern amenities, comfortable beds, en suite bathrooms along with tea and coffee making facilities. For the very best of deals and to stay within your budget, reserve splendid hotels near the cruise port terminal in Dubrovnik soon. Croatia has so much to offer, so take the opportunity to explore not only Dubrovnik but the surrounding areas too. If you’re searching for good deals and special offers to take a relaxing holiday, look no further. There are many online bargains which will not only save you cash, but also time too. Where to Stay ? The most convenient is to stay in central Dubrovnik. Several establishments can be found within close distance of the port as well. Budget friendly property located very close to the Gruz cruise terminal. 4 star property set in a historic building boasting splendid views of Gruz Harbour. 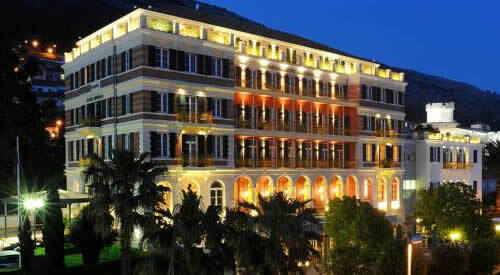 Luxury 5 star hotel in a beautiful historical building, well located near Old Town. Cruise ships tie up at the new cruise ship terminal, which is located in the Port of Gruz. The facility is located only a few kms or miles from the historical city centre. You can also walk from the Old Town to the terminal but this will take you around 30 minutes. From your hotel the best option is to take a taxi. Please not that some cruise ships tender in the bay and tender directly to the old town. Luxurious cruise liners also visit Dubrovnik for a stop over. Gruz is the main town if you’re heading for the port terminal which also has a bus station and amazing markets. Boat and ferry tickets can be bought at the terminal office if you fancy seeing Dubrovnik from the Adriatic Sea. Shop till you drop then return to your holiday accommodation to chill out, have a good night’s sleep, ready for the next day. You will also find hire car facilities, banks, department stores, supermarkets, pharmacies, restaurants and bakeries. Cruiselines beginning voyages from the port include SeaDream Yacht Club, Thomson Cruises and Voyages of Discovery. Popular ports of call include beautiful Venice, Kotor Montenegro, La Valletta in Malta, Koper Slovenia and the cruise and ferry port of Piraeus. 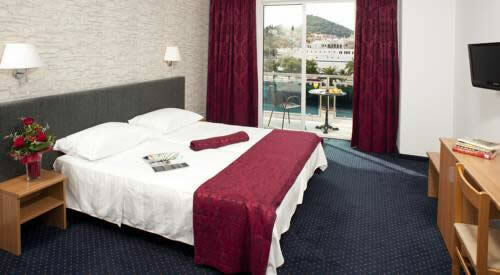 If you want to find accommodation near Dubrovnik cruise port, you won’t be disappointed with the great choice on offer. Many beautiful hotels have easy access to the port terminal where you can hop on a ferry to the Italian port of Bari for instance. Other ferry connections take you to Split, Stari Grad, Korcula and Rijeka, all fascinating places with lots of history and culture. There are also city bus stops right outside the cruise port terminal that take you into the Old Town. This particular area of Dubrovnik is an World Heritage Centre with many Renaissance, Baroque and Gothic churches, palaces, fountains and monasteries to visit. For those holidaymakers who like to be on the go, there are a number of water sports to enjoy such as snorkelling, sea kayaking, canoeing and whitewater rafting on the Tara River. Take advantage of super online deals to get the best out of your vacation. Dubrovnik airport is located, approx. 20 km or 13 mi south of the old town, in Konavle in a place called Cilipi. From the airport you can get to your accommodation by bus or taxi. Another option is to book a pre-booked transfer. The currency in Dubrovnik Croatia is the Kuna (HRK). There are many ATM machines in the city. Euros are widely accepted. Croatian is the language spoken by the locals. In tourist areas English can be used as well.